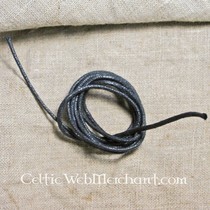 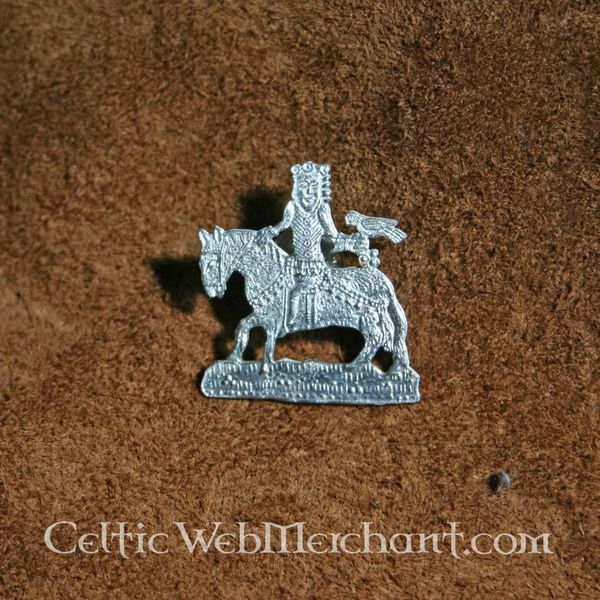 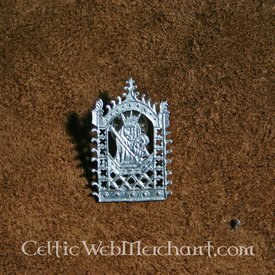 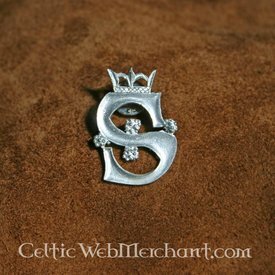 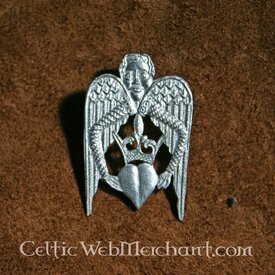 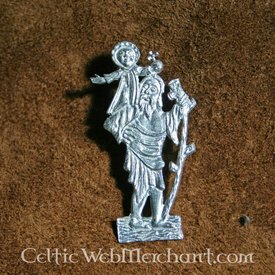 This pewter badge is a replica of late 14th century badges. The badge depicts a man participating in falconry. 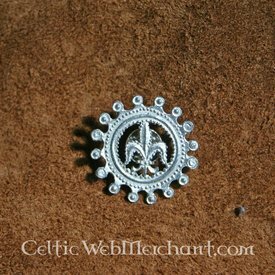 Falconry was a popular leisure for the aristocracy all over Europe.